Sorry it took so long, but having a 4month old in the house doesn’t give me much time. 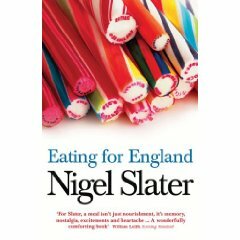 Our bext CTB book is “Eating for England: The Delights & Eccentricities of the British at Table“ Nigel Slater’s personal portrait of the British and their food. With his witty, warm and nostalgic tone Slater addresses favourite British cuisine staples (high tea, scones, black pudding, Sunday roast etc.) and products (biscuits, chocolates etc) sometimes with love and others with apprehension. 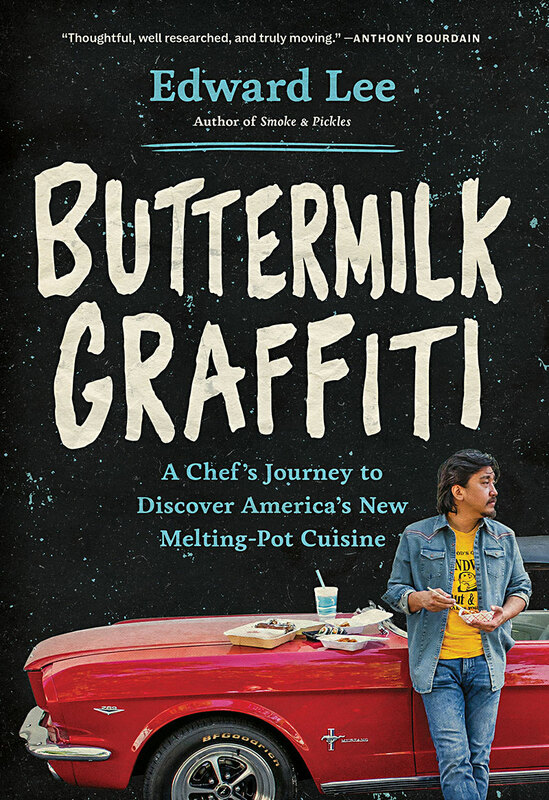 He is both entertaining and informative, often focusing on the sociological aspect of foods, painting a vivid portrait of nation whose relationship to food “is unlike any other“. If you have never read any of Nigel Slater’s books or cooked his recipes you are in for a treat, the man is amazing! To find out more about the author visit his personal page here. It proved to be a difficult but fun decision to select a winner from all the wonderful dishes inspired by “Like Water for Chocolate” by Laura Esquivel, for our judge–cook, blogger and photographer extraordinaire, Ben Herrera from What’s Cooking?. A fan of the book and of the magical realism genre, Ben left us this comment on the round-up post that I thought was great so I am reprinting it here in case you missed it. And now on to our winner! Foodycat and her Mexican chorizo. 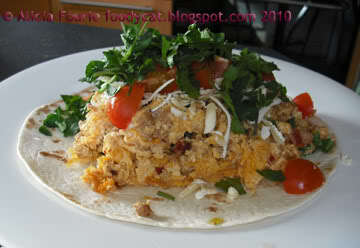 I loved all the recipes, especially the mole ones and the Aztec Chili Truffles, they are all great accomplishments, but I went with the homemade chorizo because that is one of my favorite Mexican ingredients, and not so easy to make I must say, and because she used it in one of my favorite breakfasts, huevos con chorizo. I really enjoyed doing this and reading all the recipes and book reviews. Thanks a lot for giving me this opportunity. Congratulations to Foodycat who becomes our first three-time winner of Cook the Books! We may have to get a special badge made! Congrats and thanks to everyone who participated, as you made Ben’s decision a challenge. And of course many thanks and much appreciation to Ben for being such a great judge! I am now officially handing the hosting torch over to Johanna of Food Junkie Not Junk Food for her pick, “Eating for England” by chef and author Nigel Slater. BTW: Just in case you missed the last post announcing our next three books after “Eating for England” you can find it here. It’s That Time Again–Announcing Our Next 3 Cook the Books Titles! While we are waiting to find out who our winner from the “Like Water For Chocolate” round-up is, and before I turn things over to Johanna for our April-May selection: “Eating for England: The Delights and Eccentricities of the British at Table” (Have you started reading this one yet? I am loving it! ), we thought we would announce our next three picks to take us through the end of the year at Cook the Books so you can start locating them. We have three great books, a little something for everyone, all are in paperback and hopefully they are books you can find used or at your public library. 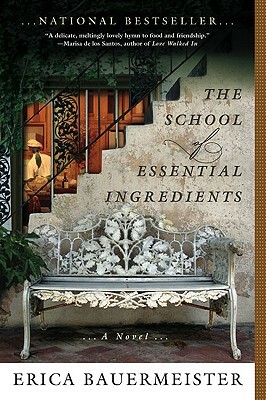 Rachel, The Crispy Cook is taking us with her to a very special cooking school with her selection of “The School of Essential Ingredients,“ the bestselling debut novel from Erica Bauermeister, who teaches writing and English literature courses at the University of Washington. In the novel, eight students gather once a month at Lillian’s restaurant for a cooking class and a few life lessons as well. You should have this selection read and your dish posted by Friday, July 30th. For me, Deb, of Kahakai Kitchen, curries, samosas, dal and other Indian dishes are some of my favorite foods, so I am taking us on a trip to exotic India with noted cook, author, (over 30 cookbooks and other books and counting! ), actress, and world-renowned authority on Indian cuisine, Madhur Jaffrey. 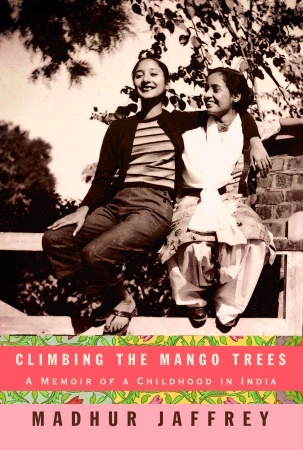 Jaffrey’s “Climbing the Mango Trees: A Memoir of a Childhood in India.” is about her large family, unusual childhood growing up in Delhi, the “power of food to evoke memory” and it also includes over 30 family recipes to make our mouths water. Mmm..I can smell the cardamom and cinnamon now. You should have this selection read and your dish posted by Friday, September 24th. 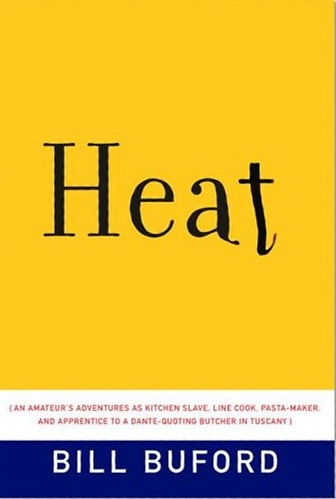 Leave it to Johanna from Food Junkie Not Junk Food to get us into the belly of the restaurant kitchen with Bill Buford’s “Heat: An Amateur’s Adventures as Kitchen Slave, Line Cook, Pasta Maker and Apprentice to a Dante-Quoting Butcher in Tuscany.“ Buford left his job as an acclaimed writer and editor at The New Yorkerto apprentice in the kitchen of Mario Batali’s Babbo restaurant, and the book follows his adventures there as well as on his journey to Italy to discover the secrets to pasta-making and pig slaughtering. You should have this selection read and your dish posted by Friday, December 3rd. There you have it–our next three selections and your reading list through the end of 2010! We hope that you join us reading these great foodie books, cooking and eating some wonderful food inspired by them and of course sharing it all with good friends.